GaryMoller.com - Health, Fitness - Naturally! 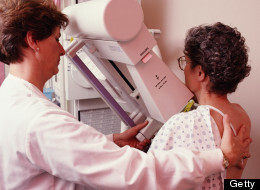 : Are Mammograms ineffective? If you have been following recent publicity that mammograms may be no more effective than breast self exams in detecting breast cancer, you may be feeling a little confused. The response by those with vested interests in mammograms and all the business that comes downstream from them, is to discredit the research as "Seriously flawed", quoting "independent experts. Please read the two articles below, follow the links and decide for yourself as to who is telling the truth. By the way, its interesting to note the emotive language used in the first article. Words like "denouncing". And are the experts denouncing the study really "independent". Rolf Hefti, in the 2nd article, enlightens us. Finally, there are safe alternatives to breast x-rays, including the totally non invasive breast thermogram which many of my female clients have had regularly. A study published in the British Medical Journal (BMJ) denouncing the value of mammography tore through the news cycle last week, leading many women to once again question the need for these breast cancer screenings. What was left out of many of the media reports are serious doubts about the validity of this study, an oversight that gives this research far more credibility than it deserves. The effect of this flawed study is that it is causing considerable confusion that will ultimately put women's lives at risk. There are multiple problems with the Canadian National Breast Screening Study, which independent reviewers of the research have pointed out. One of the most glaring is the poor quality of the mammograms used in the study, which were taken in the early 1980s, when the technology was nowhere near as good as it is today. In fact, even for its time, these mammogram images were considered below-standard. There have been major advances in mammography since then, with today's digital mammography providing far superior images than older technology. This is especially important for younger women, who tend to have denser breasts and are exactly the group that was the major focus of this study: women ages 40 to 49. Mammography is only as good as the pictures it takes and can only detect cancer if the image is clear enough to see it. Given that this study was based on poor-quality pictures, it is irresponsible to make any claims about the effectiveness of mammograms in saving lives. It would be like evaluating the current state of auto safety based on cars driven three decades ago. There are also serious questions about whether this was a truly randomized study, which is the gold standard of research and what this study claims to be. A physical breast exam was done on every woman before they were assigned to the study group (those who had a mammogram) and the control group (those who did not). The high rate of women with detectable cancers who ended up in the mammography group (68 percent) has raised concerns that women whose cancers were detected in the initial exam may have been knowingly assigned to the mammography group, which would skew the results. Additionally, this study only looked at the benefit of mammograms on survival -- whether a woman lives or dies. It does not measure the quality of life of those who have been diagnosed with cancer. Mammograms allow us to catch a cancer at an early stage, which can mean avoiding chemotherapy or a mastectomy -- treatments that can be extremely difficult to endure both physically and mentally. There are important benefits beyond survival that should not be overlooked in research. There's no doubt that mammography is not perfect, but until we have better screening tests and more precise ways to identify the women who would most benefit from screening and treatment, Breastcancer.org strongly encourages women to follow current guidelines: annual mammograms starting at age 40. It could save your life. About 10 days ago a new study of mammography got published in the BMJ, formerly known as the British Medical Journal, that revealed negative findings about the test. Practically overnight some very loud defenders of mammography, such as Harvard radiologist Dr. Kopans, strongly and viciously discredited the piece of work in a response submission to the BMJ. Other responses poured in at the BMJ. One negative commentary to the new trial I expected to come in was by Dr. Tabar, a longtime mammogram researcher, because I've discussed some of his studies and dealings in my ebook "The Mammogram Myth". Anyway, I then worked on a rebuttal of Tabar's bitter assault of the new "anti-mammogram" study but decided not to submit it to the BMJ. Instead, I sort of combined my critique of both Kopans and Tabar in one article, named "The Critique Of The Latest Anti-mammogram Study: Scientific Or Political?" that now got released at another site. Reading through it might be instrumental in discovering some of the fundamental, general workings of the mainstream medical establishment and medical "science".